Next time you are out to leave a review for some app in the Google Play Store, expect to be required to register for a Google+ account, as Google+ profiles have now started appearing in the Play Store. To leave a review, you must sign up for a Google+ account, and each review you leave will show up publicly with your name and picture alongside the review. Also, all the reviews that you’ve given before Google+ integration was started will show up with your name as “A Google User”. While some might think that it’s a bit too much to ask for opening a Google+ account even if we might not want to, this is actually a great feature, as it helps keep spammers away from reviews, and also helps keep the Play Store a more social place and lets you find reviews that “you trust”. Also, developers will now be able to contact you directly by clicking on your picture (on the web Google Play) and opening your Google+ page and discuss any problems that you may have mentioned in the review. Some might not like that everyone will be able to access your Google+ page, but then again, they don’t need to see any of your info if you don’t share it, right? The Google+ integration seems to be rolling out gradually to different users it seems, as we still can’t see them on our other devices despite having the same Play Store version (3.10.9) as the one the screenshots have been taken from, though it does show up when accessing the Play Store from the web. 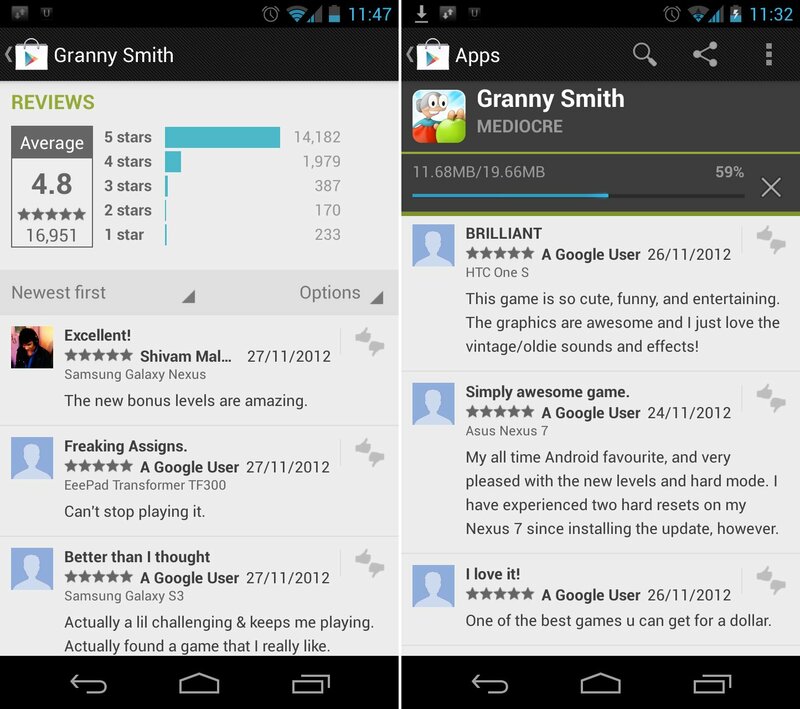 And the Google+ profile is also appearing on Google Play review pages. 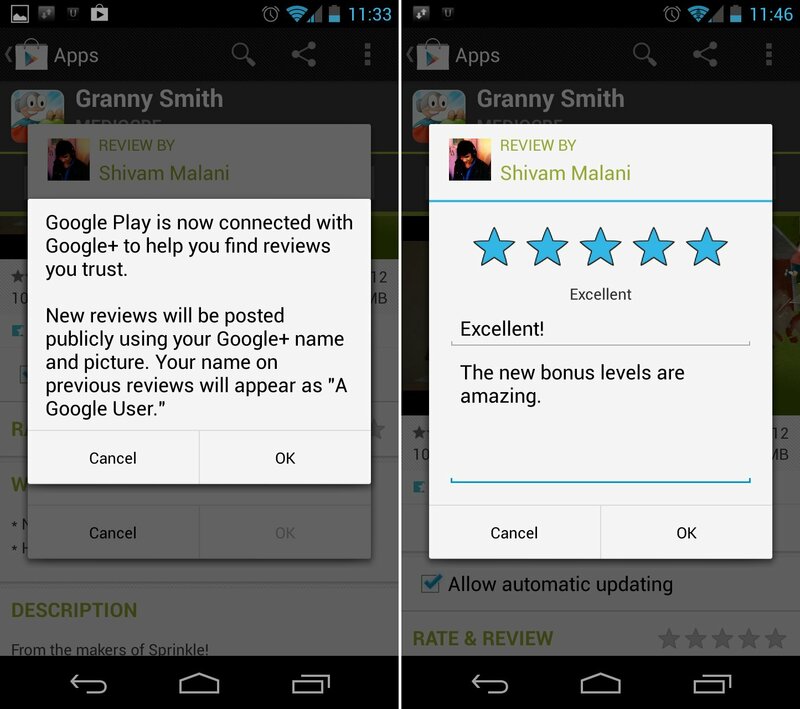 So go ahead, try leaving a review on the Play Store and let us know if you see the Google+ prompt.